Visit both, the city submerged by lava and the world's most famous volcano that destroyed this city. It will be a unique experience. 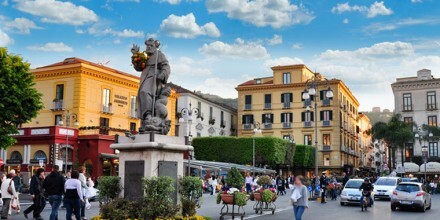 The excursions to Pompeii and Mount Vesuvius depart from the port of Sorrento or from another agreed location: you will be brought to the entrance of the archaeological excavations of Pompeii, by car where you will start your tour of the streets and antique houses of what was once one of the richest provinces of the Roman empire. Here you will observe what people’s life was like up to the moment before the eruption of the Vesuvius. 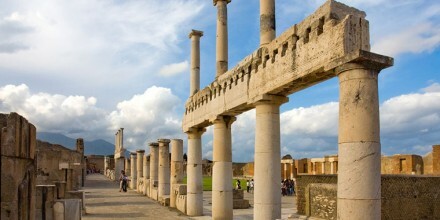 After the Pompeii visit, it will be time to climb to the top of Vesuvius. 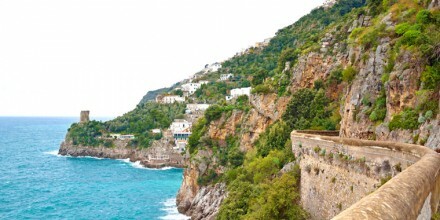 First driving up1000 meters by car where there is a breath taking panoramic view over the Bay of Naples and the islands. Then, from this point, along with a mountain guide, you will walk along the path that leads to the mouth of the crater. 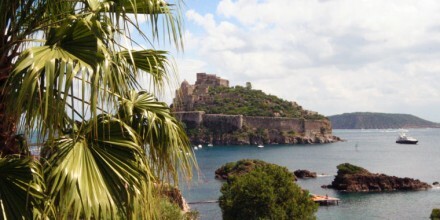 For lunch we suggest a winery which is located right at the foot of the Vesuvius, all organized with a tasting of Lacryma Christi and other typical products of the area, with the opportunity to purchase products to take home. 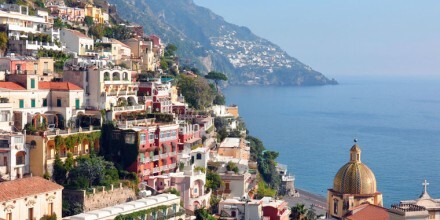 Want to see the Amalfi Coast and Sorrento in one day? This is possible only with an organized tour! Book now!